Carpenter Ants can be black or combination of red and black or red and brown. Workers vary in size and can range from ¼ to ½ inch and the queens range from ½ to 5/8 inch. These ants are an important part of recycling and composting wood in their natural setting, but are destructive and unsettling when they invade our homes and businesses. Most carpenter ant queens start a nest in decayed or water-damaged wood that is softened by fungus. Normally, we find a major nest containing thousands of ants and smaller satellite colonies containing fewer ants. These satellite colonies can be found anywhere. Our Vice-President tracked a nest that was in a metal curtain rod in a customer’s home. Another common area these ants will invade is a hollow-core door, the nest found here usually stays active during winter and is easily found. The presence of winged ants (a swarming) indicates a mature colony close by. A colony needs to be at least 2 years old before winged reproductive ants are produced. Finding one or two ants inside does not warrant immediate treatment, but should be investigated and monitored by the homeowner. Oftentimes homeowners do not know they have a carpenter ant problem until they are doing construction or performing maintenance on the home. Our Pest Management Professionals are experts in eradicating carpenter ants. They will ask questions to try to deduce where the ants may have set up the primary nest. Their questions may include: Have you had any water leaks or water problems in general? How many ants do you see and in what area do you see them the most? Do you see ants every spring or do you see any with wings? 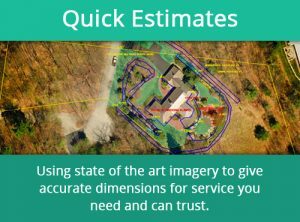 Our professional will also look for conducive conditions such as mulch up against the foundation, excessive leaf litter, woodpiles and scrap wood, bushes and trees which touch the home and any earth-to-wood contact. If ants are seen, the technician may put carpenter ant bait down in addition to a foundation spray. The ants will pick up this “food” and head back to the nest to feed the queen and the young. These clues will hopefully lead to where the problem is and the discovery of where the nesting sites are. The methods and materials used to treat carpenter ants work in such a way that even if the nest cannot be located, enough of the workers come into contact with the material and strategically placed baits that full eradication can still be achieved. Carpenter ants can go without food for six (6) months, but will eat each other to survive. Many nests are found in trees outdoors. They will normally attack a dead limb first but can eventually weaken the tree and large limbs. Carpenter ants are nocturnal but workers may be seen during daytime. Carpenter ants wake up in the springtime and are found in kitchens and bathrooms looking for food and water. Once the flowers are blooming outside, the ants will forage outside for honeydew and other insects. Most homeowners think the ants have “gone away” but this is not the case. The annual emergence of ants indicates a nest in the home. Carpenter ants do not eat wood for food; they excavate it to raise their young inside. You will find sawdust outside of a nest because the ants keep it neat and tidy. 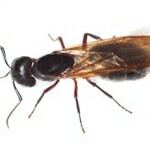 Carpenter ants can be found walking across above ground wires and into your attic. After treatment for carpenter ants it is common to still see ants for 3-4 weeks. Ants in a nest can sometimes be heard chewing away at the wood in your wall. It sounds like the crinkling of cellophane or “Rice Krispies”.